and they're better than ever! 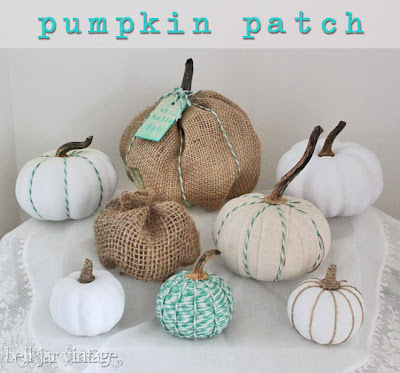 the fall inspirations in bloggyville! 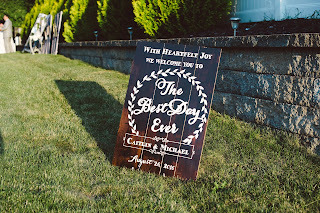 Love that it sits in a decorative frame too! love the colors she used! she fashioned this topiary that I adore! with a tad bit of turquoise-Love! 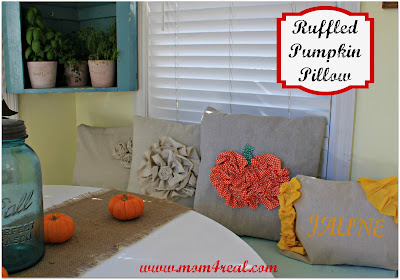 added it to a drop cloth pillow with some glue! "Country Living" knock-off table scape too! the wall stripes and glitzy silvers! but I couldn't help myself! a messy job but someone had to do it! looks like a flower- very cool! Hope these ladies added to your inspirations! Thank you so much for featuring my pumpkin wreath, especially with so many other inspiring projects! Hope you have a blessed weekend! 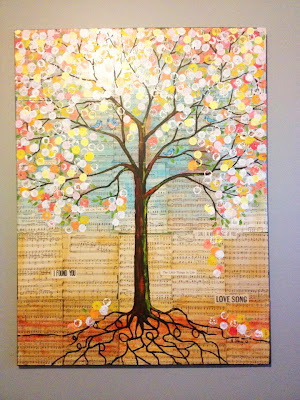 Thanks for featuring my tree painting! 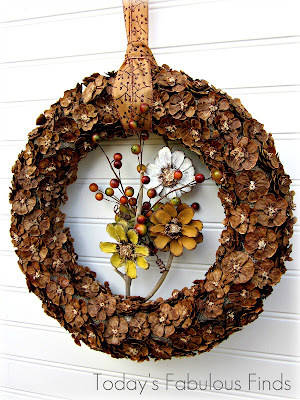 Thanks for including my wreath in your features! Hope you're having a nice weekend! Thank you for following my blog. I did so enjoy your post. 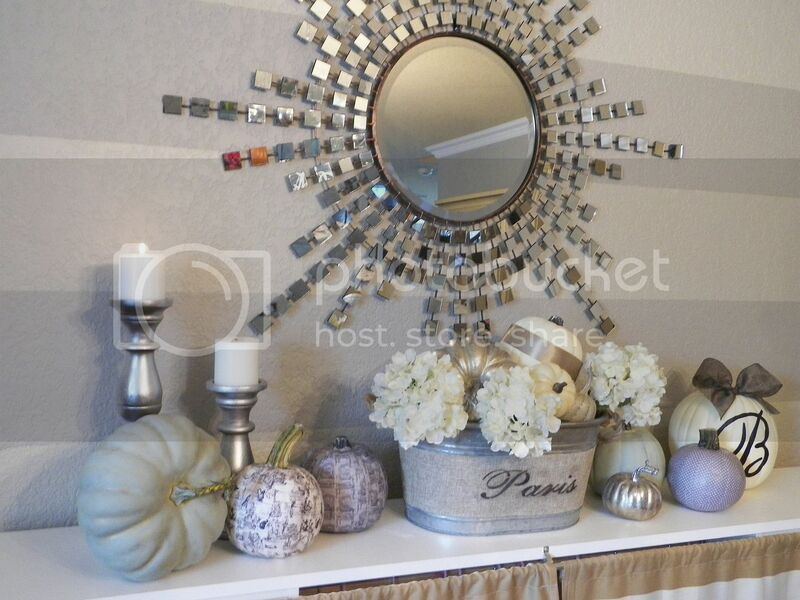 Thank you again for featuring my Fall vignette!